As I entered the dark shadows of the Japanese hotel room I caught the familiar scent of a distinctive human blood. The blood of Keanu Reeves, alias Paul Mounet, to be exact. Before I could trace its source in the dimly lit room I felt an almost supernatural blow to my head accompanied by a hellish battle cry that ended in a rattling roar of,”Die Vampire!” It was Keanu roundhouse kicking my vampire skull with a vengeance. Any normal man would have been knocked out cold but I was merely dazed as I fell on to the king size bed. I quickly rolled out of the way as he was about to fly down on me with an elbow to my throat. Keanu’s attack upon me was lightning fast, and relentless. It took all my vampire strength, speed, and agility just to defend myself against what I thought was a simple human. Keanu Reeves mastery of Kung Fu was beyond anything I witnessed in my over 700 years of life on Earth! I myself had trained in a number of martial arts forms around the world. Unfortunately those skills, and my vampire super abilities were just barely enough to keep him from annihilating me. Unable to get a word in edgewise to explain myself I began to go on the offensive as best I could. I allowed my eyes to glow crimson, and fangs to extend. He wasn’t impressed as his onslaught of precision power focused punches, and kicks continued to rattle my supernatural frame which now felt like I was human again. Keanu finally foot swept me to the ground, and pulled out a silver stake ready to pierce my living dead heart sending me straight to hell! It was a breathtaking mid summers night as I walked along the Seine River gazing upon the gloriously lit Eiffel Tower. It had only been erected months earlier at the grand opening ceremony. I was taking my time enjoying the sights, sounds, smells, and general atmosphere of Paris before attending a performance of Hamlet at the Odéon Théâtre. I was interested in seeing the talented actor Paul Mounet perform. I had heard good things about him in the elite social circles I frequented. A friend of mine who knew Paul acquired front row seats for me, and sent word I would like to meet him after the play. Before I entered the theater I heard screams coming from the back of the building. There I found two shabbily dressed men accosting a woman whose finely tailored silk dress made it apparent she was of high social standing. However on closer approach the top of her dress had been ripped off by the filthy fiends revealing her corset. Before I could intervene a distinguished gentlemen quickly entered the fray taking down both men with martial arts moves I’d only seen in the Far East at that point in time. Generally a westerner wielding such skill was usually supernaturally immortal in nature. I consoled the distraught woman while commending the amazing heroism of the man who quickly excused himself to re-enter the theater he had previously stormed out of. I helped the shocked woman into her horse drawn carriage while examining her driver who had been knocked out cold from a blow to the head. I looked around cautiously as I bit into my wrist, and drained some of my healing vampire blood into his mouth. Within a minute he awoke feeling dizzy but able to drive the refined lady home. Over 100 years later in 1992 I saw my first Keanu Reeves movie, Bram Stoker’s Dracula. I was shocked to see his striking resemblance to Paul Mounet. However after living for as long as I have you see the random repeating of facial features. I would watch Keanu’s movies over the years, and got a greater sense each time that he was Paul. There was a familiarity to his voice but I only knew Paul’s french accent. This hunch of mine was only a passing interest since Paul, and I were only occasional acquaintances back in the day. He was one to never trust vampires or other creatures of the night! Although the last time I saw him before his faked death we engaged in battle together against a zombie uprising that disturbed a rather swanky party at a grand chateau near a cemetery. Despite Paul’s appearance of advanced age he fought as well as he had that night I first met him. Perhaps that should’ve tipped me off he was an Immortal. Subtle mystical glamouring changes his appearance slightly to simulate minimal aging to preserve the range of Keanu’s acting roles. I was in Hawaii, and decided to fly to Tokyo, Japan on a whim for the “47 Ronin” premier on November 19, 2013. There on the red carpet I was able to get close enough to pick up the aroma of Reeves with the supernatural scent skills of my vampire nose. 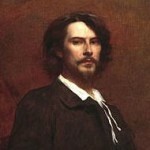 This confirmed that Keanu was Paul Mounet since a vampire always remembers every aroma that dances upon his olfactories. 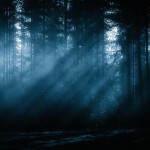 Before parting ways that night of our first meeting I remember the scent of an odd herbal solution coupled with some manner of magic coursing through his blood. I would later find out over 100 years later from Mystic Investigations resident witch, Rebecca Abernathy, that is was a glamouring spell. I had thought it explained how he sensed I was a vampire but it was actually the magical placement of a false facade. I now know he was simulating the aging process. 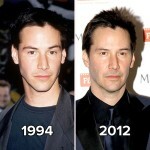 Indeed Keanu Reeves is an Immortal! This also explains the extensive knowledge of history he had in our conversations at various social functions. It wasn’t a first class education but rather first hand experience over the centuries. Keanu poured himself a scotch on the rocks, and offered me the same. We then sat down, and he told me his remarkable story. 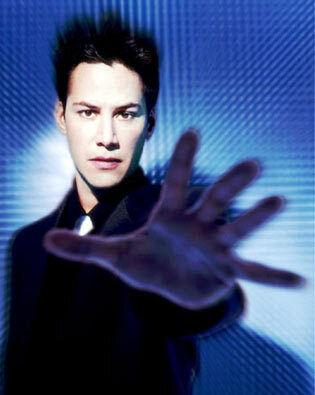 Firstly, Keanu’s name actually is Keanu with no surname. Now that the world is so interconnected by the media his Hawaiian-Polynesian name, meaning cool mountain breeze, doesn’t really stand out as unusual in the global culture. Although he’ll stop using it again for his next identity. Of course he’s hoping science achieves immortality so he can come out of the immortal closet to the world, and not have to worry about being a human guinea pig. Despite so many people speaking of his immortality these days he doesn’t worry because mainstream society, and governments just think it’s an internet meme. 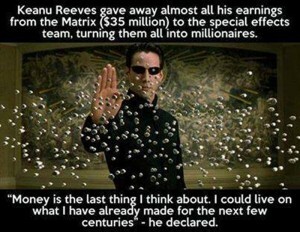 Keanu Reeves is a rare breed of simple immortal that is born among humans by genetic fluke each generation or so. The type whose cells simply refuse to die. This is why his blood didn’t smell supernatural to me. 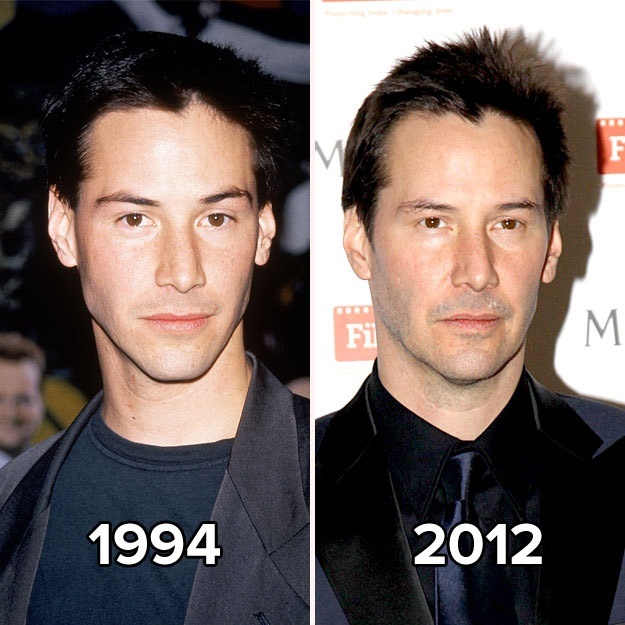 The Telomere’s at the end of Keanu’s Chromosomes simply don’t degrade with each cell division so his cells remain healthy, and don’t produce imperfect aging copies. Keanu has existed for thousands of years. So long in fact that he doesn’t know what year he was born, or how old he exactly is since his memory is like that of any normal human. As you get older the years, decades, and centuries meld together. Especially during the long period of time without a real calendar system along with shifting calender standards over the centuries. He estimates he’s somewhere between 2000 and 2500 years of age. 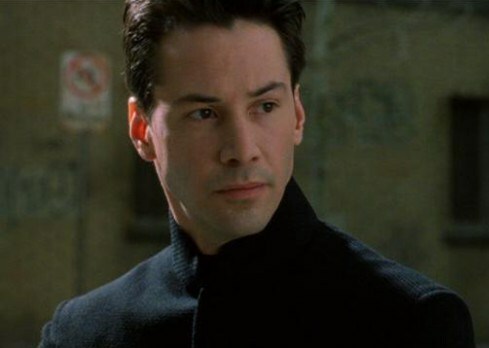 Keanu doesn’t have any special powers other than being immortal which include amazing self-healing abilities. He’s somewhat like the immortal animals that exist in abundance on our planet. He said he had some close calls nearly dying from diseases, and injuries but he lucked out over the centuries thanks to his totally excellent DNA that affords him amazing healing abilities, and a first class immune system. Surviving the dreaded Black Plague of the 14th century was the most difficult for him but as everyone else fell prey to the dreaded bacteria he lived on. He even managed to survive a run in with the paranormal progenitor of the Plague known as the Plague Doctor! 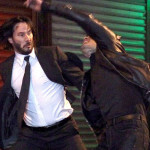 Keanu is also one hell of a martial arts expert including being a Kung Fu master. A martial arts repertoire so extensive that he could easily hold his own with a 5th generation vampire such as myself. He told me he’s fought a variety of supernatural beings over the centuries, and developed an almost sixth sense in detecting them. That’s how he knew I was a vampire that first night we met in 1889. He choose not to share his immortal status with me back then due to his general mistrust of supernatural creatures who yearn for immortal blood. However he learned to trust certain witches that he seduced. Witches who helped wean him off cheesy beards, hair dyes, and make-up to fake his aging. Before both magical glamour’s, and various measures to fake aging he simply had to move on every 10 years or so to a new life for fear of being branded a spawn of the Devil or some manner of witch himself. He had several close calls with superstitious mobs hopped up on religious dogma. Those witches also taught him how to put together a bag of herbs, and crystals that hide the smell of his Immortal blood which is why I never knew his true nature! 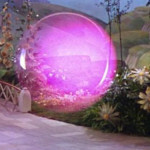 Despite not being paranormal in nature his birth was caused by something special. His father, and mother are naturally not Samuel Nowlin Reeves, Jr and Patricia Taylor. He wanted a mainstream acting career, and payed the couple to be his parents. 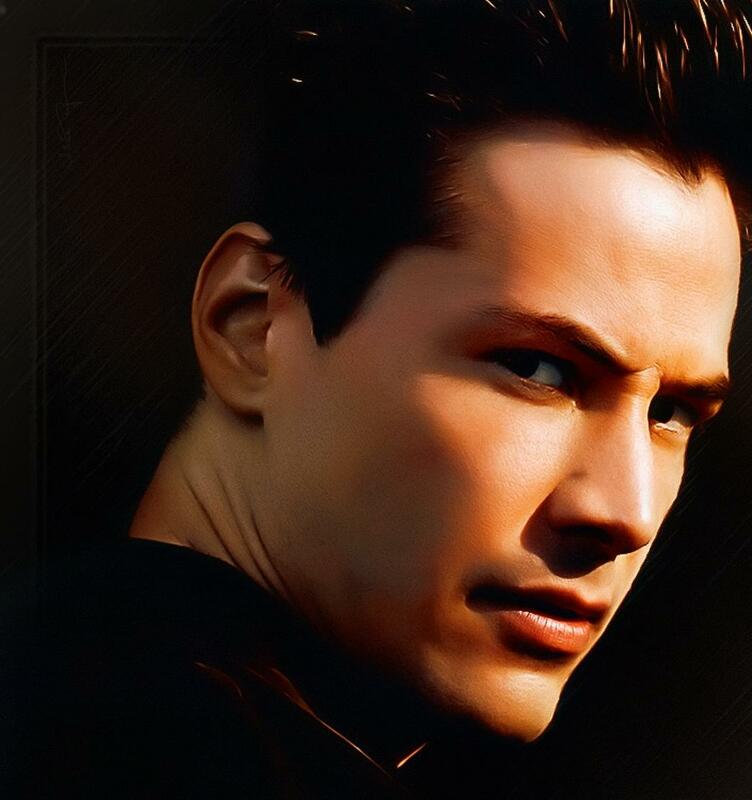 Keanu, and a team of experts who create identities for various immortal beings created an entire childhood life for Keanu complete with faked photos, and magically implanted memories into witnesses. His true father was an ancient Polynesian who took part in an unknown magical ceremony that unintentionally coincided with a dark magic ritual taking place at Stonehenge in Ancient England. A strikingly beautiful Celtic woman who was to be sacrificed was saved by being sucked into the bright light of the porthole. She assumed she was killed, and transported to Heaven, aka the Polynesian paradise. There Keanu was consummated within the Celtic woman thanks to his Polynesian dad. Nine months later an immortal Keanu was born into this world! 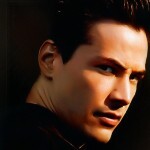 For at least a hundred years Keanu was known as the wise ageless one revered by his people as a savior. However he was forced to leave under a new royal regime that saw him as a threat to the throne. The people were looking more, and more to Keanu for guidance while ignoring the King. The royal family did not want a King Keanu who was not of royal lineage. Especially one who would never die…at least by natural causes. The royal family branded his immortality as evil, and the populace turned on him. He was forced on to a boat, and cast to sea where he spent several hellish months alone in the open shark infested waters. He eventually ended up in Hawaii which he found deserted at the time. So technically Keanu is the first Hawaiian. He build a better bigger boat, and headed back to sea gradually making his way to the Far East where he began his martial arts training. After telling me the tales of his centuries of totally excellent adventures we agreed to meet again, and stay in contact with each other. He also said he’d call if he needed the assistance of Mystic Investigations for any supernatural threats. Mystic Investigations is the paranormal firm out for supernatural justice where I hold the position of Executive Vice-President. He was deeply interested in our crusade against evil, and he seemed somewhat enamored by a photo of our resident witch Rebecca Abernathy. I told him she was already taken by Mystic Investigations President Xavier Remington but he said,”That’s never stopped me before!” We both laughed…sorry Xavier I gave him Rebecca’s number. I’m sure she told you about his phone call. Before leaving I asked him to let me know the next time he performs Hamlet at a playhouse so I can relive our old times in Paris. Watch A Trailer For John Wick, Keanu’s Latest Movie, Premiering October 24, 2014. 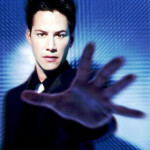 Watch Keanu Reeves, aka Paul’s, motion picture masterpieces! Need More Keanu? Get A Realistic Cardboard Cutout Here! This entry was posted in Celebrities, Immortals, Vampires and tagged Keanu Reeves by Drake Alexander. Bookmark the permalink. What?!? This is the first I’ve heard about Rebecca getting Keanu Reeves phone number? Sorry Xavier it must have slipped my mind! He called just before Christmas time when we left for North Pole City. We talked for over an hour. He was quite charming! 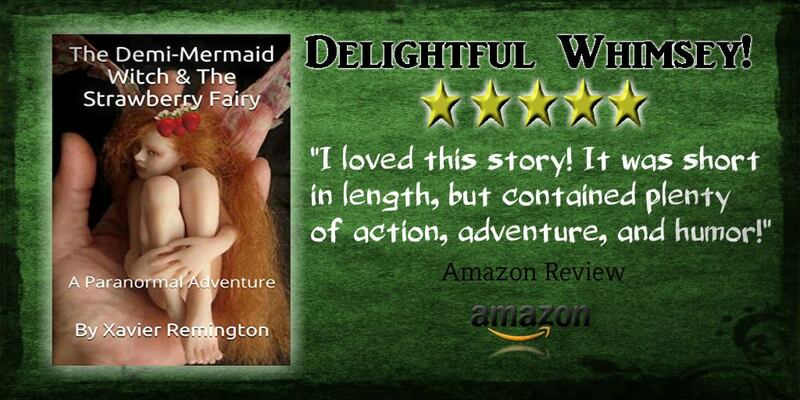 Despite distrusting supernaturals he thought it was cool I’m a Demi-Mermaid, and witch. Hey what the hell man! She’s taken! Yes indeed Keanu I truly believe I would have burst into unholy flames, and turned to vampire ash upon your bed that fateful night in Tokyo. Drake I thank the Gods, and Goddesses that I didn’t vanquish you. You are an asset for those of us who fight against the dark forces that slither about the silent night with deadly intent. 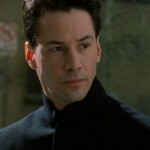 Pingback: Is Keanu Reeves Immortal?